With lovely display and improved design, the iPhone 4 tops the list. It uses the advanced LG LCD Display technology namely In-Plane Switching technology (IPS). The phone boasts of being the thinnest smartphone at 9.3mm and has built-in 5MP camera. The new model also comes with the upgraded operating system iOS 4.0 and a new feature of high definition display called Retina. The new screen resolution is 960 x 640, up from 480 x 320 on all previous iPhones and iPod touches. The iPhone now also has 512 MB of RAM, which is a big step up from the 256 MB found in the iPhone 3GS. This smartphone has a typical quad-band HSUPA chip for data and voice, 802.11n Wi-Fi, and Bluetooth 2.1. The iPhone 4 is the first with video calling and it is the first version of Apple's smartphone with a Gyroscope, which now gives it the ability to sens six axis' of rotation. The 16GB version is available at Rs. 35,500 and the price tag for the 32GB version is Rs. 41,500. HTC Evo 4G is the first WiMax-enabled phone. It delivers respectable 4G speeds. It has a 4.3-inch display, a 1 GHz Snapdragon processor, 8 megapixel camera with HD-video-recording capabilities and 1.3 megapixel forward-facing secondary camera, and 3G/4G mobile hotspot capability, all running on Android OS 2.1. The Evo ships with YouTube's HQ video player, Android 2.1 with HTC Sense, and an HDMI port. Visual voice mails, Facebook, Twitter support are among other features. The HTC Evo 4G is easily Sprint's best smartphone and one of today's top Android devices. The phone is priced around Rs. 36,000, differing from operator-to-operator. 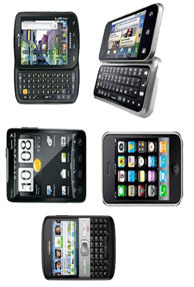 An addition to Nokia's E-series family, the E5 supports Symbian S60 third edition mobile operating system. Packed in monoblock form factor, E5 offers 2.36-inch TFT display supporting 320x240 pixel resolution screen. It combines a full QWERTY keyboard with comprehensive push email services for corporate and consumer email accounts. Nokia E5 has impressive features including a 5 megapixel camera and super fast internet over WLAN and 3.5G. Under the hood, this phone packs 600MHz ARM 11 architecture based processor with 256MB RAM and 250MB internal storage. Nokia will bundle a 2GB microSD card with the handset. It comes with Symbian OS v 9.3 Series 60 release 3.2 operating system in its heart. The phone is available Rs. 12,699, but it might be available for bit less in different regions of the country. The Motorola Backflip comes with the MOTOBLUR technology. MOTOBLUR is shaped over Android OS to enhance corresponding mobile devices, more friendly with social networking and internet access. As the name indicates, this device comes with a reverse flip slider for including full QWERTY keypad. The phone comes with Android OS 1.5 installed. It has a 5MP camera with auto focus and LED flash. Motorola Backflip screen is 3.1 inch in size. This screen is capacitive touch with support for 256K colors at HVGA 320 x 480 pixels resolution. Inside there is a 528 MHz CPU with dedicated 256MB RAM. It includes a 2GB card which can be expanded to 32GB. There is quadband GSM support with GPRS, EDGE and tri-band 3G (7.2 mbps). The Phone is available at Rs. 18,269 in Indian market. The Samsung Epic 4G, the second 4G phone by carrier Sprint, runs on Android 2.1 OS and has a knockout Super AMOLED display, a 1GHz processor, a front-facing camera, an impressive QWERTY keyboard, a 5.0-megapixel camera with an LED flash, and supports Sprint's 4G WiMax network. It is capable of acting as a mobile Wi-Fi hot spot for up to five devices. It has a standard removable 1500 mAh Lithium battery and a memory of 1GB ROM and 512MB RAM. The connectivity options include Wi-Fi, Bluetooth, microUSB, and a 3.5 mm jack. The Samsung Epic 4G is a multimedia powerhouse with features the other Galaxy S phones don't have. It comes with a big price tag of Rs. 11,500. Microsoft made its final roll of the dice in the global smartphone market today, launching a new mobile operating system which the software powerhouse hopes will rival iPhone and Android devices. The Windows Phone 7 marks a complete break from its past efforts – and the suppression of internal politics in favour of the man and woman in the street. Microsoft, which once dominated the computing world, is having to sprint to catch up on the lead it has surrendered in the past three years first to Apple and then to Google's Android platform. Its rivals have grabbed roughly a third of the rapidly expanding market for devices that can connect to the internet while their user is on the move, as well as making phone calls. Steve Ballmer, Microsoft's chief executive, said that he had "been looking forward to this day for some time" as he unveiled a range of phones using the system in the US. 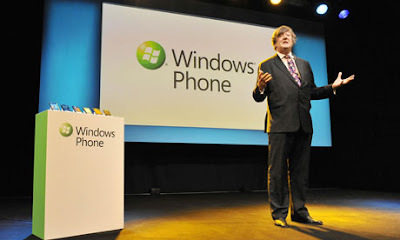 He said that the development of the software behind the Windows Phone 7 – reckoned by analysts to have cost the company more than a billion dollars, and to have a $400m (£250m) marketing budget attached – had been driven by the necessity to be "modern in its design principles, in the way that people use modern internet services, and we've taken a very different tack at the same time". The new interface aimed to integrate phonebooks, social networks and other information around "hubs" of people. Ballmer said: "We had an internal mantra that the customer is king … Give them the ability to do everything on their phone but easier and faster. Less stop and stare, more glance and glare." Although its Windows operating system for standard desktop computers and Office software suite together comprise two of the most profitable monopolies on the planet, Microsoft has lagged in the mobile phone market for years. Windows Mobile, its previous incarnation, was popular among businesses for its ability to connect with enterprise email and calendaring systems. But then the Canadian company Research In Motion (RIM) ate into that field with its BlackBerry offerings, while Nokia took the broad share of the global smartphone market. But the world really changed in June 2007 when Apple launched the iPhone, with its unlimited internet connectivity, and then Google produced Android, which mimicked many of the iPhone's strengths and could be built by many handset makers, undercutting Microsoft's business model. Ballmer initially laughed off the challenge of the iPhone, saying it was "the most expensive phone in the world" but that it "doesn't appeal to business customers". In April 2007, he said that it had "no chance" of gaining significant market share, telling the magazine USA Today that "if you actually take a look at the 1.3bn phones that get sold, I'd prefer to have our software in 60% or 70% or 80% of them, than I would to have 2% or 3%, which is what Apple might get". History proved him wrong – and now it is Microsoft that has the single-digit market share, and has focused squarely on the consumer, not the business customer, with its new software. That may be essential, because markets have begun to mark down Microsoft's shares, which have fallen by 20% from their peak this year. Goldman Sachs this month downgraded the stock to "neutral", saying that PC sales were slowing in the face of cannibalisation from tablet computers, and that cumulatively the whole of Microsoft was worth less than the sum of its parts. But Microsoft suffered a terrible misstep this year when it killed its Kin smartphone, the product of its acquisition of the Danger phone brand, after only three months of disappointing sales. That led to doubts about whether Windows Phone 7 would meet the high expectations now riding on it. The new focus on consumers in Windows Phone reflects a realisation that they will be a key driver of smartphone sales growth. "The enterprise [customer] is still important, but we're looking to appeal to the consumer as well," said Ashley Highfield, Microsoft UK's managing director. "Consumers are actually just as much business people as they are entertainment seekers. This is for both those areas. We do have connections to [Microsoft's corporate email system] Outlook and address book and [enterprise collaboration tool] SharePoint. You can, if you want, collaborate on a PowerPoint presentation with someone who's back in the office on your phone." Microsoft badly needs to succeed now, as the smartphone market is hitting what Highfield called "an inflection point", with sales globally beginning to explode: the number of internet-enabled phones sold is expected to outstrip those of PCs around 2015. The industry analyst Gartner reckons 270m smartphones will be sold this year, up 56% on last year, and growing to 875m by 2014. By contrast, it estimates that there will be only 368m PCs sold this year, up 19% on 2009. Yet even if it can drive its market share of handset sales higher, Microsoft may still not profit as handsomely as Nokia, RIM and Apple, all of which create both the software and the hardware in their products – and for which the physical product is the most profitable part. While Google makes money from its Android platform by driving searches via its own platform and selling mobile ads, Microsoft is both charging handset makers a fee to license Windows Phone 7 and seeking search and ad revenues. The profits from those activities, though, may not be as impressive as those seen by Apple, in particular, which is estimated to have taken 39% of the mobile phone industry's total profits in the first half of 2010 by selling only 17m iPhones. Highfield declined to forecast how Windows Phone 7 will do in the market, acknowledging instead that the launch was the beginning of "a long journey" and that the licensing and advertising model was "a very good and solid business model". Microsoft is also looking to encourage the development of an "app store" like those offered by Apple, Android and Nokia, which have all poured millions of pounds into encouraging developers to write small "apps" that can be downloaded and used on their phones. But for the companies that developed the thousands of apps for the previous generation of Windows Mobile phones, the bad news is that they will now have to rewrite them entirely. Ballmer has since May been the direct manager of the entertainment and devices division, which produces Windows Phone 7, after the departure of J Allard, who masterminded the development of Microsoft's Xbox games console. And since the departure of Stephen Elop from the business division to head Nokia, Ballmer has been in direct charge of two of his company's five divisions. Bangalore: Cybercrime, malware incidents, data breaches, compliance legislation - Today's changing security landscape means you can't leave anything to chance. And new threats have kept you on your toes. What are some more of the unsettling things that need to be addressed? And how do you advance in your career? 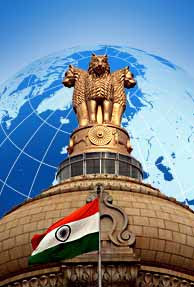 SiliconIndia is organizing Security Conference on October 2, 2010 (Saturday) in Bangalore. There will be two tracks at the Conference: System & Network Security and Web Security. There will be exciting technical sessions delivered by the people who know Security best. Experts from companies like Symantec, RSA, McAfee, Wipro, Mindtree, Novel, Cisco, Juniper Networks, Paladion, Rooman Technologies would be speaking at the event. Delegates will be experiencing a complete technical immersion. If you are passionate and want to learn all exciting developments in the security world, this is an event you shouldn't be missing. The System & Network Security track would dwell on topics such as the Changing Face of Endpoint Security; Insider Threat: Identifying Your Insider; Real Security for Virtualization; Attacking and Defending SSL VPNs, Network Access Technology - How to Manage Your IT Infrastructure and Responding to a Wireless Attack on Your Network. The Web Security track would deliberate on topics such as dealing With the In's and Out's of Web Security; Social Networks: Minimizing the Risks of the New Frontier; Google and Beyond: Advanced Search Engine Hacking and Web-Based Intelligence Gathering; Strategy for Defense Against Web-based Advanced Persistent Threats; Server-side Verification of Client Behavior; Identity As A Service; Securing your Web Services Environment and Cloud Computing Security. Beijing: After Iran, it is China which has been the latest target of the computer virus named Stuxnet. Dubbed as the world's "first cyber superweapon" by experts, the virus is infecting millions of computers around the country. Stuxnet is capable of breaking into computers that control machinery at the heart of industry. After that it allows the attacker to assume control of critical systems like pumps, motors, alarms and valves. Apart from this, it can also explode factory boilers, destroy gas pipelines or even cause a nuclear plant to malfunction. 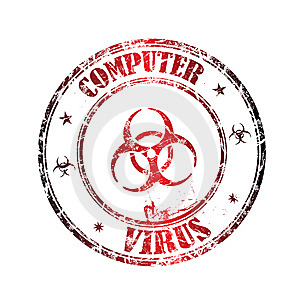 The malware is specially designed to weaken plants and damage industrial systems, instead of stealing personal data. Once Stuxnet successfully penetrates factory computers in China, those industries may collapse, which would damage China's national security, said an engineer surnamed Wang at antivirus service provider Rising. As per the report of the official Xinhua news agency, the attacks had so far infected more than six million individual accounts and nearly 1,000 corporate accounts around the country. The Stuxnet computer worm -- a piece of malicious software (malware) which copies itself and sends itself on to other computers in a network -- was first publicly identified in June. It was found lurking on Siemens systems in India, Indonesia, Pakistan and elsewhere, but the heaviest infiltration appears to be in Iran, according to software security researchers. Yu Xiaoqiu, an analyst with the Information Technology Security Evaluation Centre, downplayed the malware threat. "So far we don't see any severe damage done by the virus," Yu was quoted by the Global Times as saying. 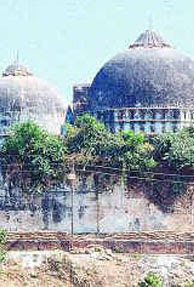 Considering the ancestry, the court has kept the Central dome for the Hindu Mahasabha, as the Hindu idols were placed in 1949 in the land prior to the Babri masjid and again in 1992 after the masjid was demolished. Though they have considered the land to be a Ramjanmasthan, Justices SU Khan, Sudhir Agarwal and DV Sharma maintained that Babar didn't build Babri Masjid demolishing a temple rather on the remains of a temple. There were many anticipation on the judgement with everyone expecting a rule whereby a complete different entity might be allowed, which would by no means connote any religion, yet people see this to be a conducive decision. "Though I expected an entity like an academic institution or a hospital to be set up in the place, yet the decision looks sane. Three parts of the land ensures that the land has become a part of all religion and should no more arouse any conflicts," says Ela B., a home-maker. However, the reaction to the eventful judgement is quite deem in the corporate world. When there should have been messages on peace and acceptance floating around in the social sites, the zero responses from any top corporate leader shows a thick-skinned attitude. Bangalore: Many people are earning a living at jobs that they do not enjoy. Most of them feel screwed, and feel helpless to change it. If they learn how to break the worthless rules at work, they will get more stuff done in less time, which makes them happier and more productive, Rosin Ingle from Irishtimes.com. 'Hacking' work, which is the act of getting what you need to do your best by exploiting loopholes and creating workarounds. It is taking the usual ways of doing things and bypassing them to produce improved results, for the company as well as for the employee. According to a new book, Hacking Work: Breaking Stupid Rules for Smart Results, "hacking job is all part of a growing work-related DIY (Do it yourself) movement. The term "hacking" might conjure up images of the teenage cyber criminals, but this is about ordinary people finding often low-tech solutions to everyday work problems, by bending or breaking company rules. The authors, Josh Klein and Bill Jensen are encouraging employees to look around the workplace, identify a better way of doing things and implement change, tossing long-standing company edicts and silly office procedure out of the window along the way. They claim that the book, named one of Harvard Business Review's 10 breakthrough ideas for this year. The book gives an example of two employees in an insurance company whose salary grade didn't entitle them to locks on their doors. Two hours of their working day were wasted because they had to file away confidential documents every evening and morning. Acting against official company policy, their manager decided to put locks on the doors, saving the company 10 man-hours a week. Mostly it's common sense. Earlier this week Klein went to give a talk at the Facebook office in Dublin, where a female employee told him that one of the tools she used was too slow for the job she needed it to do. Listening to employees is a strategy that has been employed by some of the world's top companies such as Google, whose "20 percent rule" allows engineers to spend one day a week on pet projects that are not necessarily in their job description. This was how Gmail came about. The enemies of the work hacker are worthless rules, a lack of common sense and the because-I- say-so mentality. "Start with the rules or processes which are the biggest drain on your productivity - work from there," explained Klein. A certain amount of audacity is required, and work hacking is not for everyone. "Traditionally, large companies have operated from a position where everybody is just expected to do what they are told. So employees take for granted that they have to just suffer through these processes when in fact there is always a way to work around them," Klein said. "A bad boss will take a good idea from an employer and tell them no, because they didn't come up with it. In that case, we recommend hacking the system. Eventually the boss is going to be replaced. It's a question of whether they take the company and your job down with it," added Klein. Washington: India is listed as the third most powerful country in the world after the U.S. and China and the fourth most powerful bloc after the U.S., China and the European Union in a new official U.S. report. The new global power lineup for 2010 also predicted that New Delhi's clout in the world will further rise by 2025, according to "Global Governance 2025" jointly issued by the National Intelligence Council (NIC) of the US and the European Union's Institute for Security Studies (EUISS). Using the insights of a host of experts from Brazil, Russia, India and China, among others, and fictionalised scenarios, the report illustrates what could happen over the next 25 years in terms of global governance.In 2010, the U.S. tops the list of powerful countries/regions, accounting for nearly 22 percent of the global power. The U.S. is followed by China with European Union at 16 percent and India at eight percent. India is followed by Japan, Russia and Brazil with less than five percent each.According to this international futures model, by 2025 the power of the U.S., EU, Japan and Russia will decline while that of China, India and Brazil will increase, even though there will be no change in this listing. By 2025, the U.S. will still be the most powerful country of the world, but it will have a little over 18 percent of the global power. The U.S. will be closely followed by China with 16 percent, European Union with 14 percent and India with 10 per cent. "The growing number of issues on the international agenda, and their complexity, is outpacing the ability of international organizations and national governments to cope," the report warns. This critical turning point includes issues of climate change, ethnic and regional conflicts, new technology, and the managing of natural resources. *All in One* copyright @ 2012. Ethereal theme. Powered by Blogger.